Col's Creating Memories: WOJ - A Christmas Card! Yes, I have made a Christmas card! I am wanting to start early this year so I can enjoy the process without having a mad rush to get them done in time to post across the world. 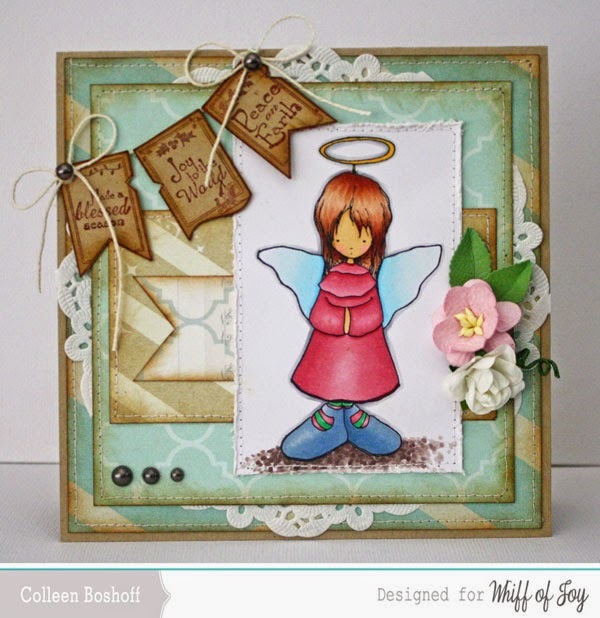 This is an older stamp but still love her, WOJ's 'From Heaven Above'. 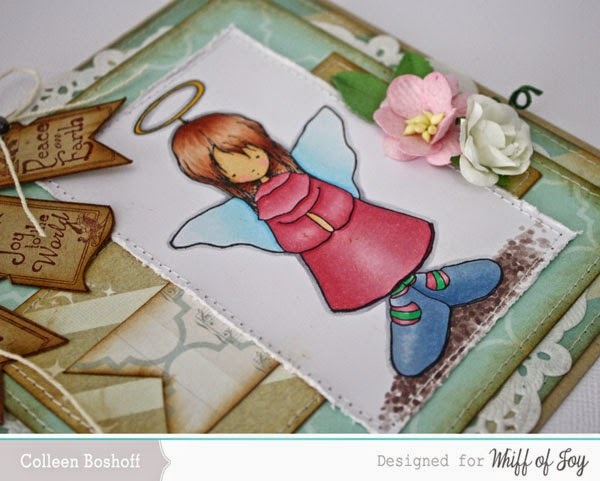 Used up some older Christmas patterned Paper, think I need to go shopping for all my cards. Inked and stitched the edges of the paper, doily from my stash, the banner is WOJ's 'Christmas Banners' stamp set and matching WOJ Die-Light 'Cute Banner Trio'. Finished off with some twine, Wild Orchid flowers and some pearls. Have you started making any Christmas cards yet? Thank you for stopping by. Looks very nice, great creation!